Chippers Take a look at the brochure! Wood is the foundation of renewable energy production and its use as a source of energy is in rapid growth. 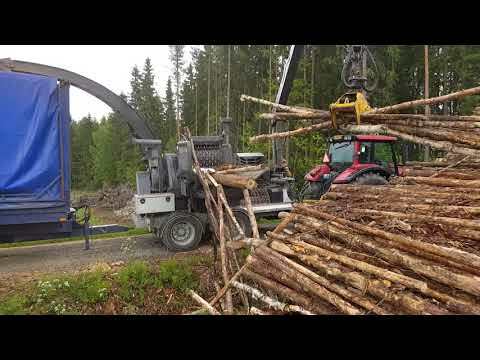 KESLA is a significant developer of forestry-related bioenergy solutions. Efficient professional chipping requires flexibility – you can select your KESLA chipper from our wide model range, either as a trailer model or a truck-mounted model. 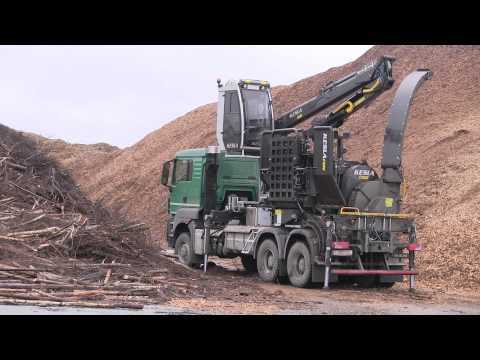 The quality provided by Kesla will guarantee that your chipper will be durable and reliable even in the most demanding conditions. Size of the intake opening varies according to the model. Sizes are: 45x60 cm, 60x80 cm or 60x100 cm. For chippers KESLA C645S-II, C645T-II and C1060T-models there are a few eyelet models available. Waste screws take the fine matter away from the feed mat past the rotor. Main belt in models C860 and C1060 is a maintenance-free toothed belt. The blower has five V-belts. The chipper can be equipped with a tool box. The box can be whether vertical or horizontal. Depending on the model, there are several spout options available; more or less curvy, different height or with single or double peak. Models C860 and 1060 have a wide intake opening, a fair high-sided feed table and hydraulic upper and lower feed rollers. The hydraulic system is optimal for chipper and crane operations. 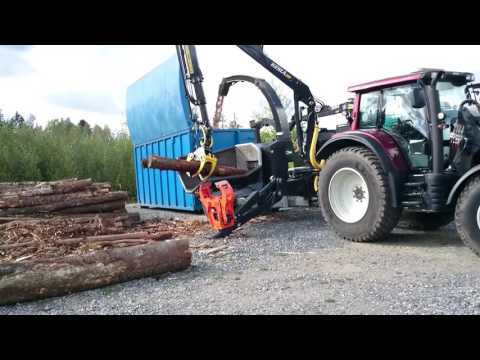 The KESLA cranes are well suited for chipper use - whether with KESLA chipper or other brands. Remember also good variety or bioenergy grapples in the proG series. Several screen alternatives are available for each model. The screen for C860 and C1060 are graded. The size of chips is easily change with changing screen. Changing does not require any special tools. Changing the knives is easy - taking about 15 minutes. 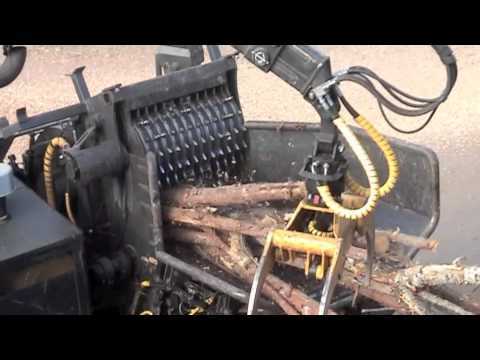 The patented cutting knife-solution makes chipping efficient and fuel-economic. Circumference of the blower and spout has replaceable scuff blades. 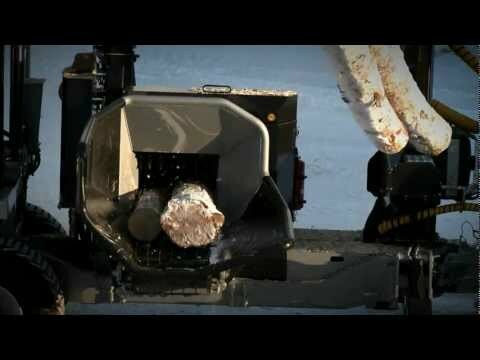 Lower part of the spout has maintenance flaps. Also the form of the chipper has been designed so, that it is easier to keep it tidy. In domestic power supply, the only sure thing to watch for continuously is change: but how? The dairy cattle left (Pedersöre/Esse) Alvar Wärn's farm in Ähtävä six years ago, and the warm barn was made into a full-scale forestry equipment storage shed. He selected wood chipping as his new business. 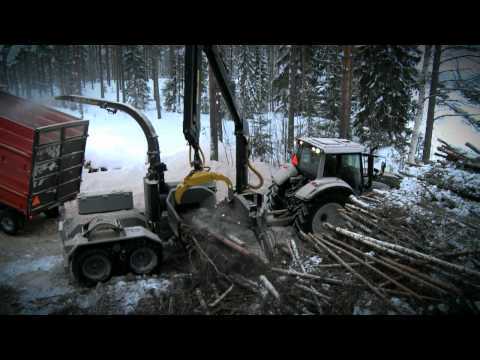 Choosing a wood chipper was not difficult, he simply turned to the familiar Finnish-made Kesla. In February 2017, Alvar Wärn renovated his chipping unit by sticking with the same models: Kesla C645 and Valtra T234.